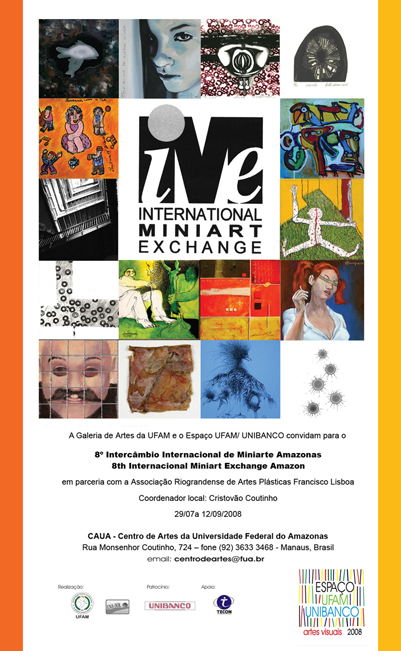 The 6th International MiniArt Exchange of Porta Alegre, Brazil travelled on to the The Federal University of The Amazon in Manuas, Brazil. It is now the 8th International MiniArt Exchange Exhibit. 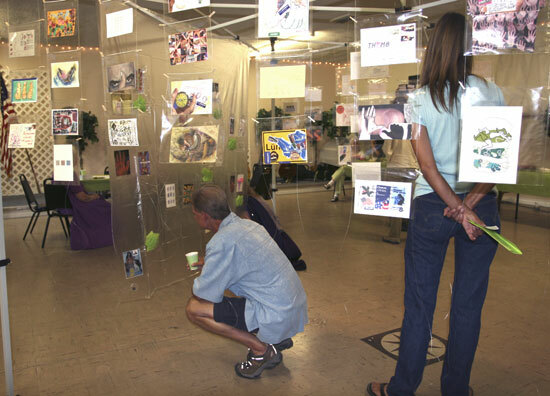 The works are in the main campus gallery from July 29 – September 12, 2008. My work in the exhibit. 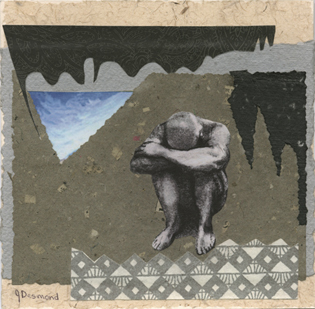 A collage based on my charcoal drawing of a figure. I’ve used this figure in a work before, it haunts me. My latest Thumb! 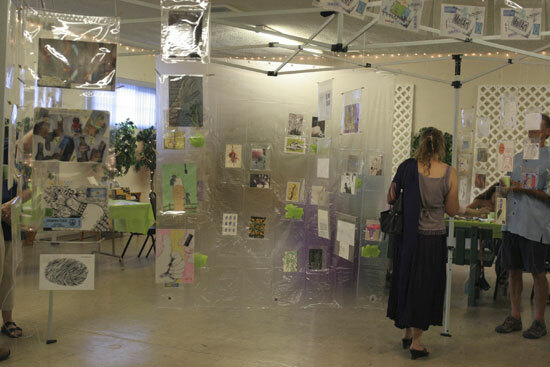 a mixed-media collage that became part of the exhibit. 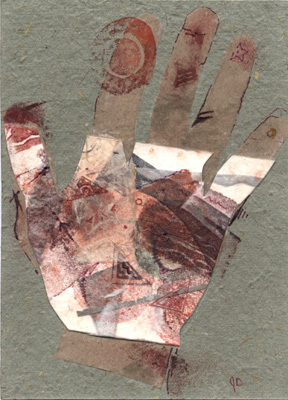 Tags: Exhibition, Mail Art, Thumb! The Mail Art Exhibit Thumb! was well received in Kernville. 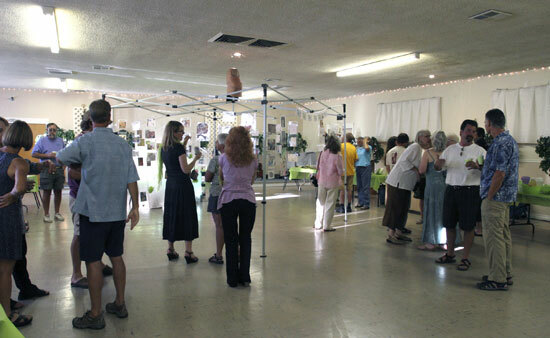 About 80-100 people attended the Friday, July 25th wine and cheese reception, and more folks came through on Saturday and Sunday. Thumb! 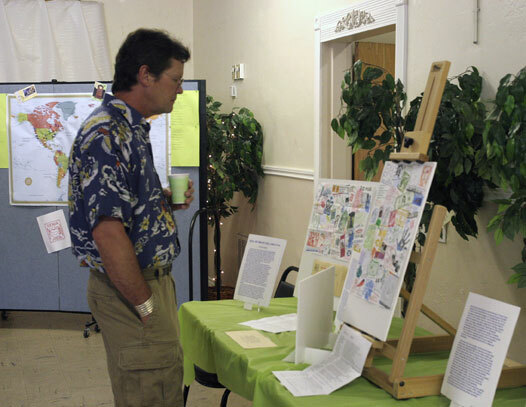 related displays completely filled the Odd Fellows Hall. 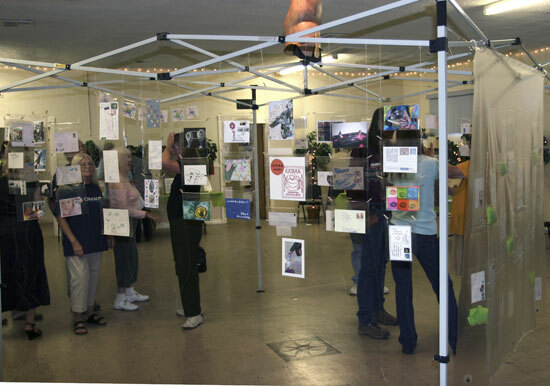 In the center of the room a pop-up frame held most of the mail art. The pieces were inserted into crystal clear envelopes and suspended from fishing line with tiny clothespins. The viewers were able to walk around and study both sides of the postcards; it was possible to see the contributor’s comments plus the stamps, postmarks and country of origin. 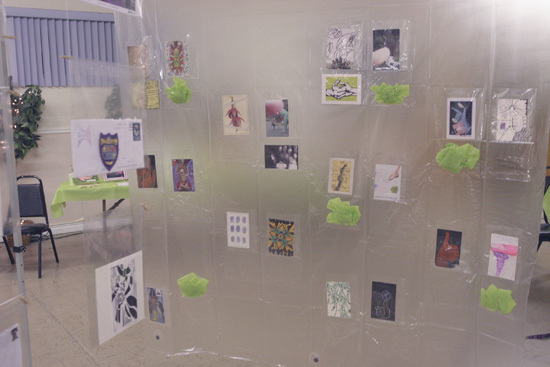 Some postcards were inserted into the pockets of the “clear wall” at the far end (shown in background) of the frame. Near the Hall entryway, a map marked the contributors’ countries with thumbtacks. 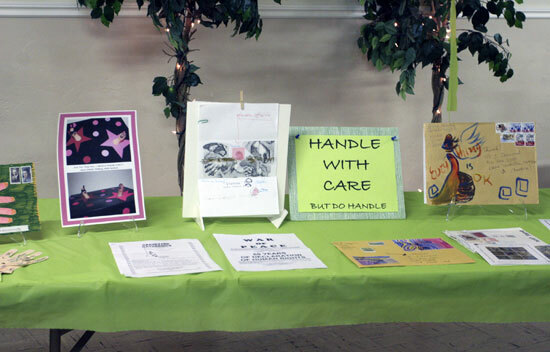 Additionally, there was a display of Brain Cell Fractal mail art, with an explanation of mail art in general. This display had Thumb! mail art, envelopes, and some other mail art calls available for closer inspection. A table set up for making art. It was a popular destination during the evening reception and throughout the weekend. 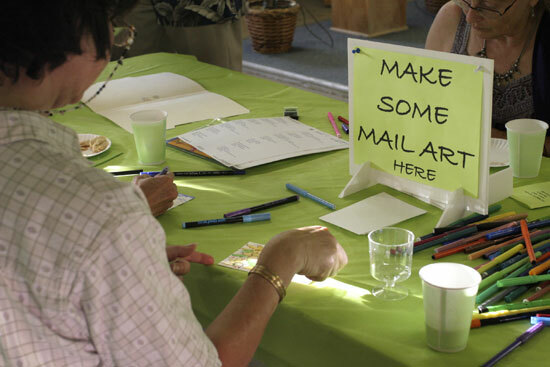 Address labels were available, so some contributors received mail art in return. Oh! And there was music! Taped music with mbira, or thumb piano selections, plus a bit of Under My Thumb by the Stones and other favorites played in the background for the duration of the show. 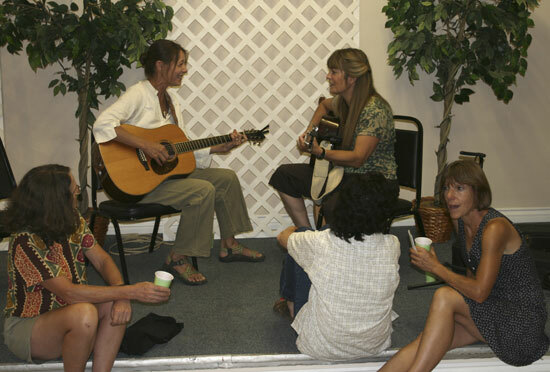 Above, the acoustic artistry of Pat Seamount and Kat Edmonson enhanced the reception.